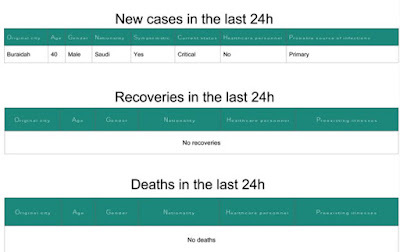 After a couple of quiet days the Saudi MOH is reporting a new, `primary' MERS case from Buraidah; a 40 y.o. male in critical condition. 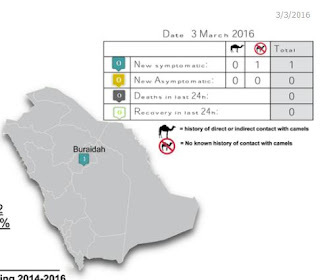 Some primary cases may result from camel contact, although in this case we have no indication of that being a factor. 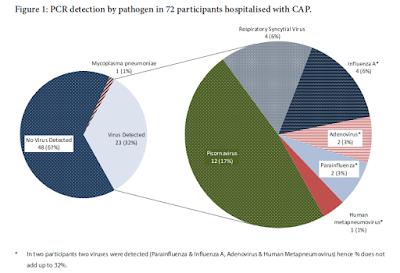 MERS infection can sometimes produce mild or subclinical illness, so another possibility is there may be some limited `stealth’ transmission of the virus by unrecognized carriers in the community (see The Community Transmission Mystery).